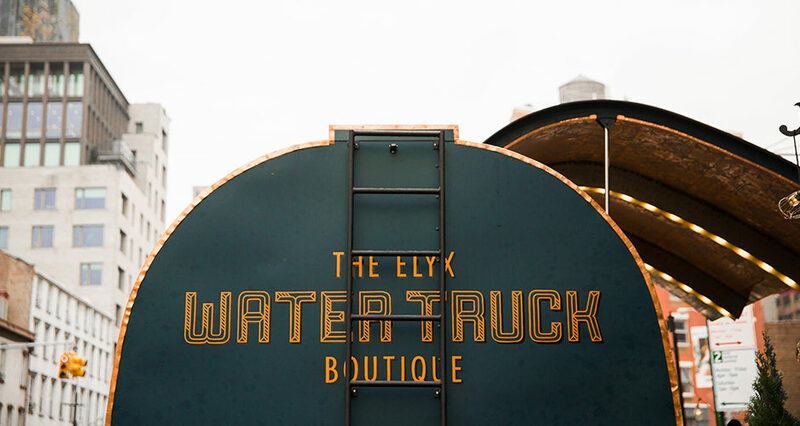 We converted an antique 1948 COE into into a raw luxe experience that functions as both a bar and a rolling boutique for seasonal merchandise, so it can make appearances at music festivals, street fairs and any other event around the country. 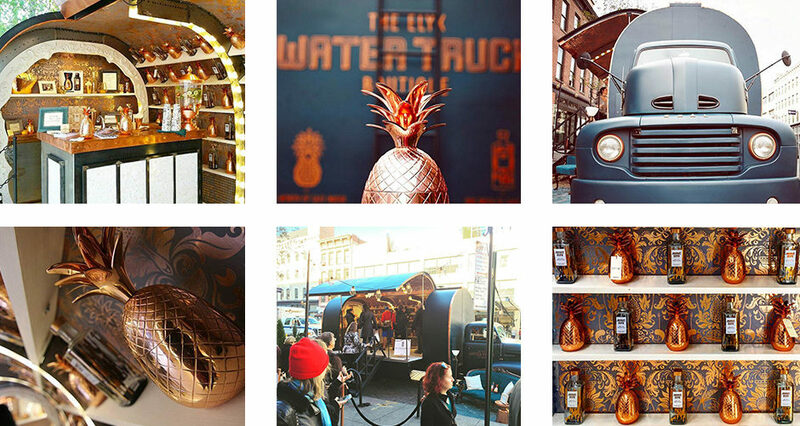 The Elyx Water Truck is helping to solve the global water crisis one copper pineapple at a time. Its 2015 destination were NYC, LA and Miami. Absolut practically invented premium vodka. And for 30 years it ruled the roost. However, new competitors on the market (Grey Goose and Belvedere) have further fragmented the category by adding $20 on the price of their product, hence creating a new “super-premium” category. They position themselves as stylish vodkas for those in the know. 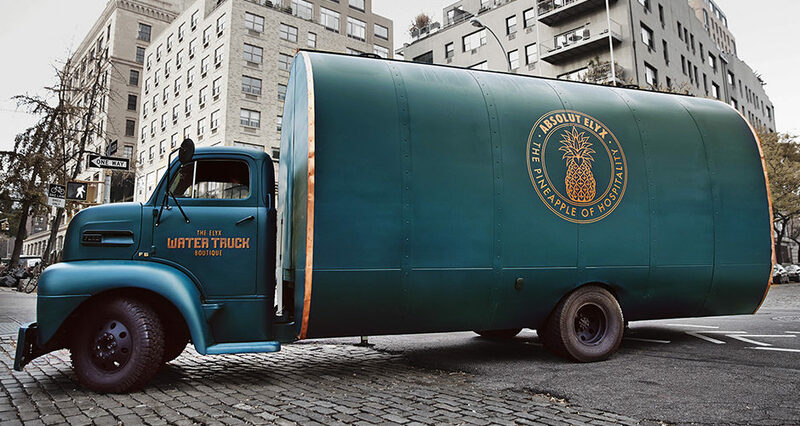 But Absolut doesn’t play their game of style over substance. Instead, it has brought to market what can authentically be claimed as the finest, best-crafted vodka in the world: Absolut Elyx. 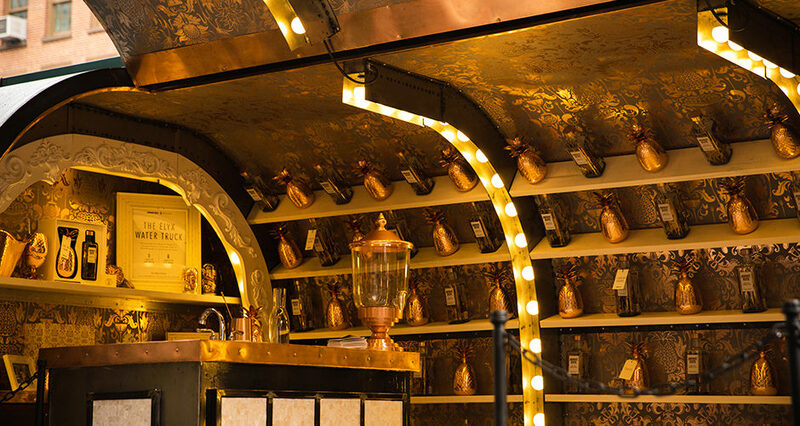 Every detail of Elyx is obsessively thought-through and controlled from seed to sip by Absolut. This obsession for detail has not gone unnoticed by the vodka world, winning a doubled gold medal and “Best Vodka in Show” at the 2013 San Francisco Spirits Festival. As such, Elyx more then earned the right to price itself alongside the likes of Grey Goose at Approximately $49 for a 750 mL bottle. 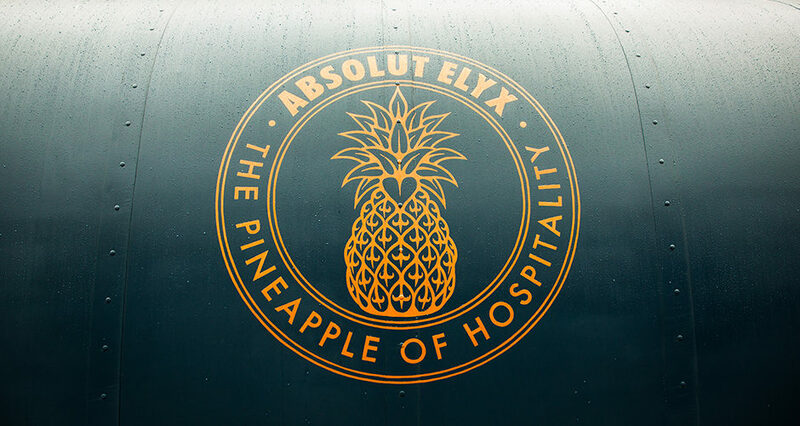 Up to now, Absolut Elyx has been soft-launched in six key markets in the US to build a following among influencers. 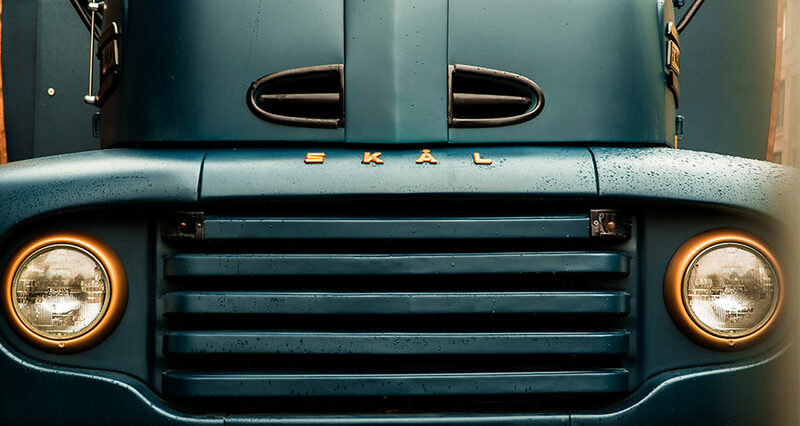 It has been launched principally through a series of eclectic events and through a “fashion-esque” campaign, but now it’s time further to elevate the brand through the “Created With Integrity” platform.